Your Next Stamp January Release Preview! Hello! It's January Preview Day at Your Next Stamp and all of the new products will be available tomorrow, January 3rd at 11 am EST! To see the full list of blogs that have a preview, head over to the YNS Blog! For my preview, I used the super fun new Carnival Food Fun Stamp Set and coordinating Carnival Food Fun Die Set along with the fab new Floating Heart Panel Die. I started by stamping my images with Black Olive Ink and coloring with Copic Markers. I then cut them out with the coordinating dies. I popped them up over circular panels sponged with various Distress Oxide Inks and some watercolor splatter. 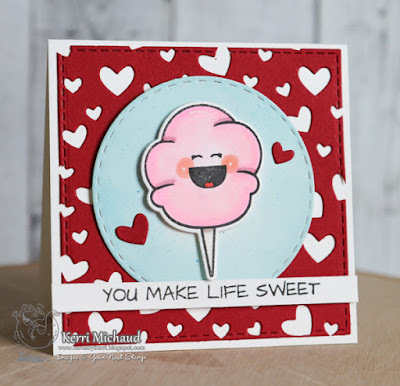 For the background, I used the new Floating Heart Panel Die and then took a couple of the hearts that were cut out and adhered them to my image panel. Finally, I stamped the sentiments and simply cut them out in a strip and popped them up with foam tape. Very cute cards and stamps. I am loving the pizza with the mustache. Cute, cute and CUTE Kerri! Love the sentiment on the popcorn card too. EEEp! Looks like a great release! 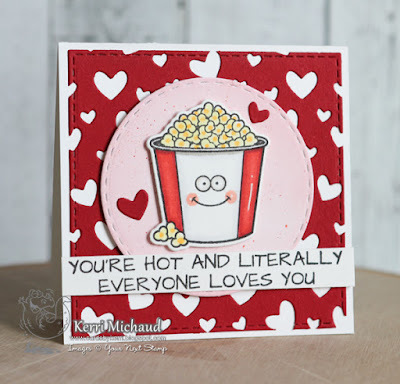 Adorable cards, Kerri! Great idea to cut down the background panel! Fun new set! 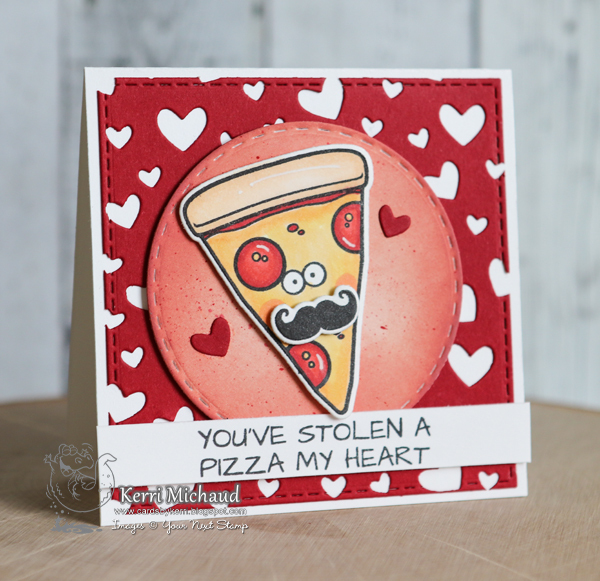 Love the puny pizza sentiment. 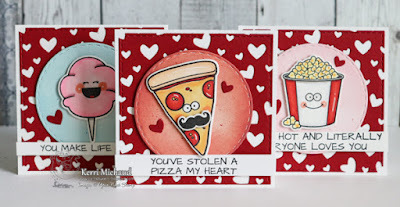 These are SO cute - I love how you tied them all together with the red heart background die. Yum! Looks like you've got everyone's favourites here! Adorable cards! Great cards! Love this new set. Very cute cards! Love the popcorn! 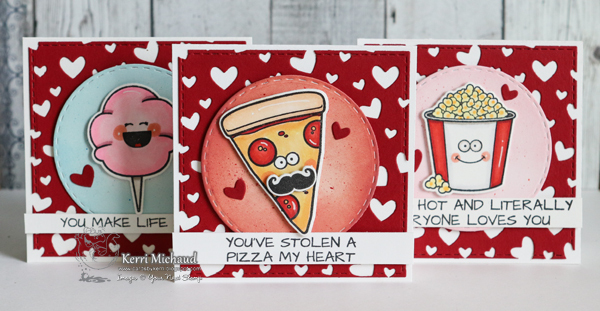 Heee I love a good pun, the little pizza dude is fab!